Mariah Carey is the Queen of the Season on the YouTube chart this year - stealing some of the limelight away from Ed Sheeran’s Christmas singles success. Carey’s 23-year-old single “All I Want For Christmas is You” is the top Christmas song, with more than 100 million views so far in December, YouTube revealed. Its daily views exceed 7 million. “All I Want For Christmas Is You” has seen annual spikes, with its video being seen by 14.7 million people last Christmas Eve. The song’s biggest success is in the U.S. in 2017, with 62.6 million views, followed by the U.K. with 19.2 million. Elsewhere, it is popular in Poland (13.1 million), Japan (9.3 million), the Philippines (8.8 million) and Mexico (6.9 million). Carey, 47, still has huge potential earning power. In 2015, she was listed at No. 9 on the Forbes list of top-earning women in music, with $27 million in earnings, boosted by news of a residency in Las Vegas. She now has 28 Billboard Top 10 hits, the fifth-most of all time. 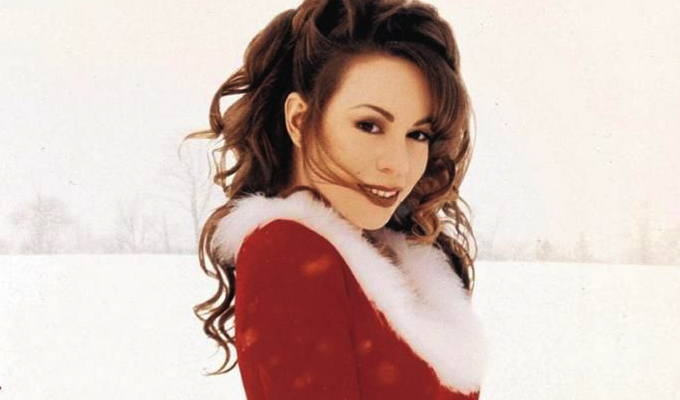 Carey’s 1994 single is the biggest sign of the growing annual phenomenon of the charts being invaded by Christmas classic songs, thanks to streaming and downloads. Traditionally the December 25 chart in many English-speaking countries would contain less than 5 percent of old singles, which would need to be physically re-released to count. Now, a chart such as that in the U.K., just released today, has more than 25 percent made up of classic songs making a return.